For the purpose of making the finest Gas Purification System available in the market, we engage in the utilization of the finest raw materials and modern machinery. Owing to this, the offered range is known to provide a superior performance, commendable resistance to corrosion, unmatched functional life and unmatched precision. W are the leading supplier and trader of all kind of Air Purification Systems. I Pure Air Purification Systems can Complete Remove of Dust, Bad Odors and Virus with the advanced technology Ozonization. Port Size: 1/2", 1/4", 1/8", 1/16"
Plant Capacity: 1- 500 Nm³/Hr. Based on the requirement of our customers, we have developed an Economical Model of Gas Purification Panel. 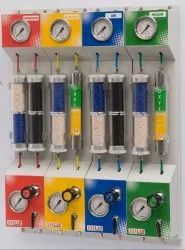 This is especially useful for customers who have Gas Chromatographic set-up. 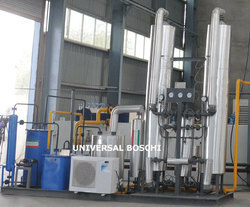 Port Size: 1/8" AND 1/4"
With an increase proportion of technology, we are offering high-quality Gas Purification Panel. This purification panel is manufactured at our sophisticated manufacturing unit by consuming top class base material in line with market norms to guarantee flawlessness at customer’s end.